Kane pictured at St George's Park ahead of England's Euro qualifiers. HARRY KANE’S GALWAY roots are well documented in this country, but the Tottenham star insists it was always his desire to represent England on the international stage. The Three Lions skipper was asked his view on Declan Rice’s decision to switch international allegiance ahead of their side’s qualifiers against Czech Republic and Montenegro, with Kane reflecting on his own Irish ancestry and the decision he faced in the early stages of his career. “My nana and grandad were Irish on my dad’s side, so I had that decision,” he said. “It never really came about as when I started playing in the Premier League, the England call-up didn’t come too long after. The 25-year-old has close relatives in the Letterfrack and Renvyle — Kane’s grandfather Michael John Kane was born in Letterfrack before later emigrating to England. The forward said Rice’s choice was a tough decision to make, but welcomed the promising West Ham midfielder into the international set-up as England look to build on last summer’s impressive run to the World Cup semi-finals in Russia. “I’m sure it was a tough one for him,” Kane said, “He’s enjoying the season he has been having so far. 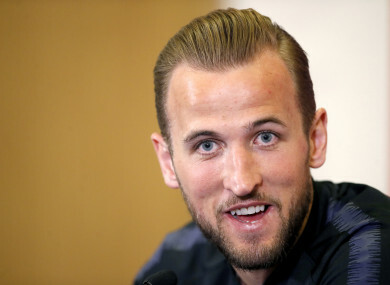 Email “Harry Kane: 'My nana and grandad were Irish, so I had that decision. It never really came'”. Feedback on “Harry Kane: 'My nana and grandad were Irish, so I had that decision. It never really came'”.